Vicoletto was the first restaurant we tried in Alba last year so we're more than overdue for another visit - this time we've opted for a degustation lunch. 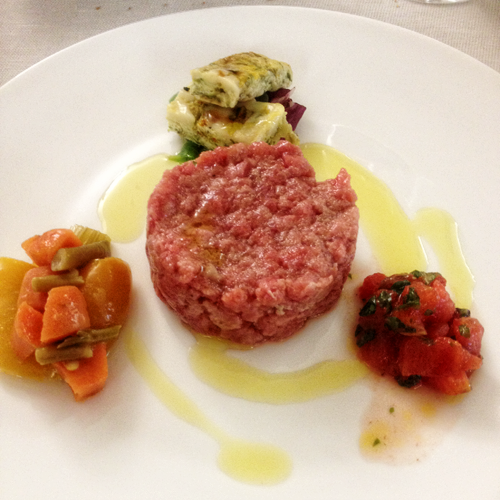 Carne Cruda - served with a herb frittata, tomato and basil salad and pickled vegetables. 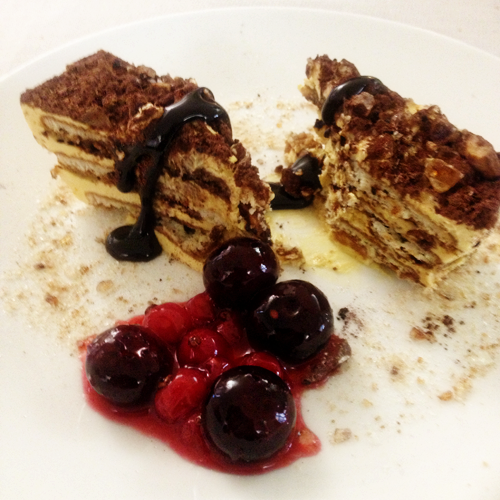 A different presentation from the usual but all quite delicious. 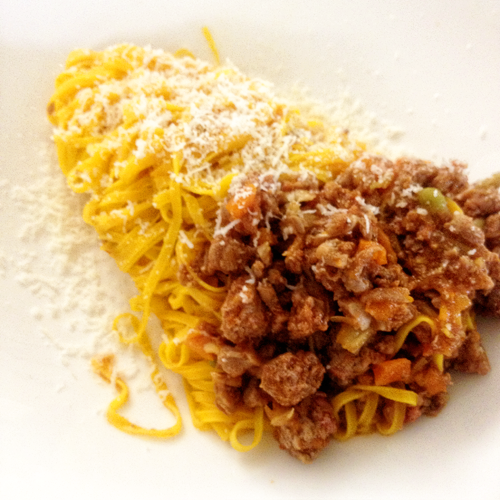 Tajarin pasta with a light meat and vegetable ragu. I'd be perfectly happy eating a bowl of this everyday - it is that good. Rabbit Brasato with mashed potatoes. 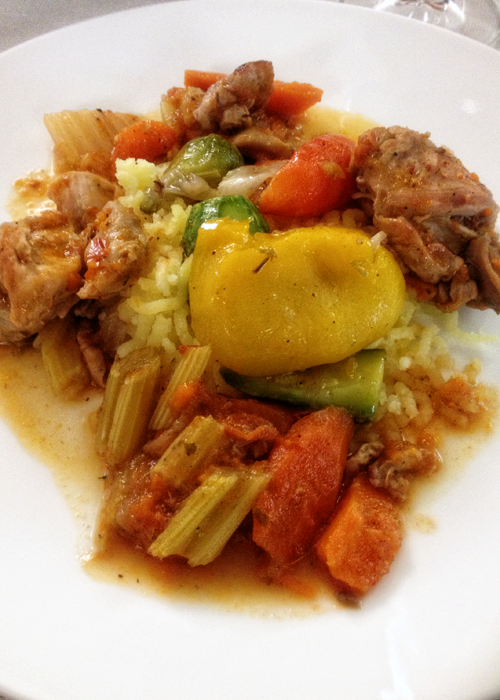 A hearty serving - well cooked rabbit, still tender and juicy, served with vegetables that have been cooked in with the rabbit. 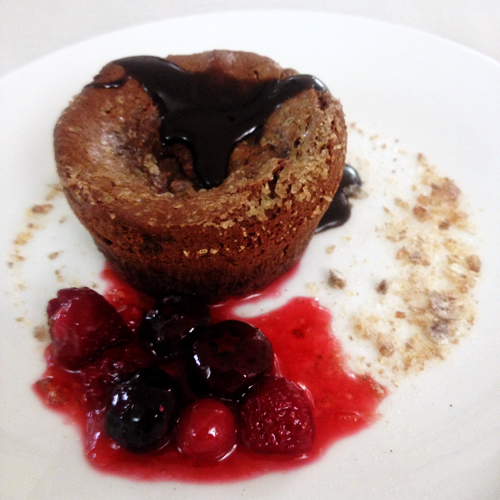 Chocolate Fondant - another good version complete with oozing chocolate center.